The Rev. 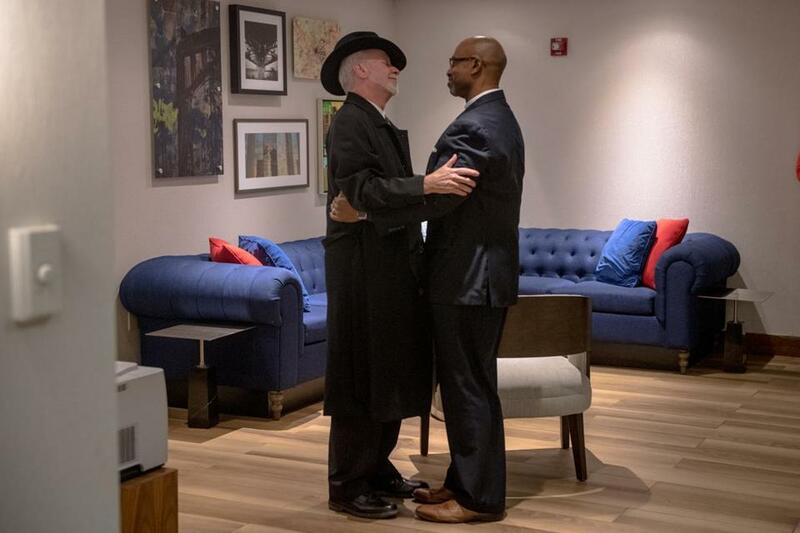 Eric S.C. Manning (right) had visited with Tree of Life’s rabbi shortly after the shooting in Pittsburgh. CHARLESTON, S.C. — Members of a congregation from a Pittsburgh synagogue where 11 died in a mass shooting by an anti-Semitic gunman last fall have traveled to Charleston to worship with members of the church where nine black worshipers died in 2015 at the hands of a white supremacist. Members of the New Light Congregation of the Tree of Life synagogue and members of the Emanuel AME Church worshiped together Friday and Sunday in Charleston, according to The Post and Courier of Charleston.